Making investments through Bitcoin is an alternative way users can make the most of the digital currency. Instead of getting lavished with the excitement and entertainment brought about by the Bitcoin gambling niche, bitcoiners can secure a more financially inclined activity by opting for Bitcoin binary options trading. This they can do through BitPlutos. This online binary broker is unlike the typical trading platforms out there. Launched in early 2015, it boasts an extensive list of features that are normally found on a top-notch binary trading platform. However, do take note that this site exclusively runs on Bitcoin. Thus, it prides itself on offering online binary trading services in exchange of Bitcoin investments. 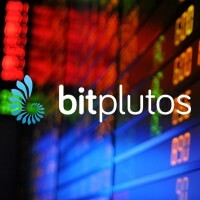 BitPlutos features a complete trading platform packed with tools and products. Powered by SpotOption, a leading binary options platform provider, it comes with an array of trading products that offer different ways to double or triple your investments over time. Other than the traditional binary trading, which pays out 70% to 85% for every in-the-money trade, this broker also offers Pairs, Ladder, FX/CFD, and Long Term trading. Those who wish to maximize their potential returns, on the other hand, can simply opt for the One Touch trading product since it registers an investment return of up to 550%. In addition, fast traders can secure positive contracts through short-term trades of as quick as 60 seconds. In the unfortunate cases that you acquire out-of-the-money trades, expect 5% to 15% of your investment to return to your account. This is just one of the financial tools that will keep losing risks on a minimum. When your platform is powered by a powerful trading software provider, then it is logical to find more than enough tradable assets on this site. It comes complete with currency pairs, stocks, commodities, and indices. Moreover, for further credibility, the data and figures projected here are outsourced from Reuters. BitPlutos runs on Bitcoin, so it is only natural for traders like you to experience anonymity on its platform. Those who register with a valid email address and a password will be able to trade binary options in full privacy. This also means that all payment transactions will be completed from the user’s Bitcoin wallet address and to that of the site, and vice versa. However, Bitcoin binary broker provides more options by allowing traders to register in partial anonymity. There are extra benefits when you opt to share your personal details, and it includes being able to withdraw investments into your desired bank account, to access professional trainings and trading tips, and to receive help from your account manager around the clock. Anonymous traders cannot enjoy these incentives, so it boils down to your preferences in terms of trading binary options with Bitcoin online. Granted that there are two kinds of accounts, fully registered players can transfer a minimum of 0.1 BTC to their bank accounts via wire transfer. This process will take longer, though, as compared to the anonymous Bitcoin withdrawals. When it comes to the deposits, however, you simply have to remember that you can fund your account at least 0.25 BTC in order to begin trading. There is no limit to the amount you wish to deposit, which is definitely a plus if you are aiming for larger investments and returns. To top it all off, this broker grants bonuses to those who successfully refer their friends to the platform. BitPlutos is not your usual Bitcoin binary options trader. It comes with a full range of trading tools, products, and instruments designed to deliver a competitive and user-friendly online trading experience. If you are not yet fully indulged in binary trading, then opting for an open account is essential to gain insights and knowledge from the helpful resources on the site. Otherwise, go for the anonymous account. Either way, you are guaranteed of profitable investments on this platform.